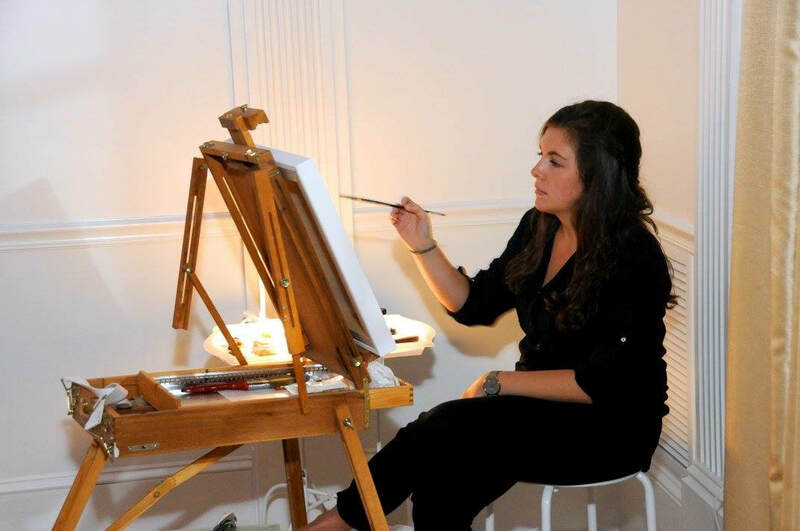 Live event painting acts as both visual entertainment for your guests and provides you with an original work of art that will remind you of how you felt on your wedding day for years to come! My goal is to capture the special moments between the couple; specifically, I love to observe the interaction during the first dance. In my painting, I want to push beyond simply depicting how your special day looks. I want to create a painting that will act as a memory, forever reminding you of how that beautiful day felt. If live event painting isn't the option you are looking for, creating an original painting from the photo of your choice whether it be of your proposal or from your wedding day is a beautiful option! I received my Master’s in Fine Art from the Pennsylvania Academy of Fine Arts in Philadelphia, Pennsylvania. Before pursuing my graduate degree, I concentrated in Painting at Arcadia University. While pursuing both of my degrees, I fell in love with oil painting and depicting the figure. Throughout my time as a painter, I found myself enthralled with the Impressionist movement and the idea of capturing the experience.